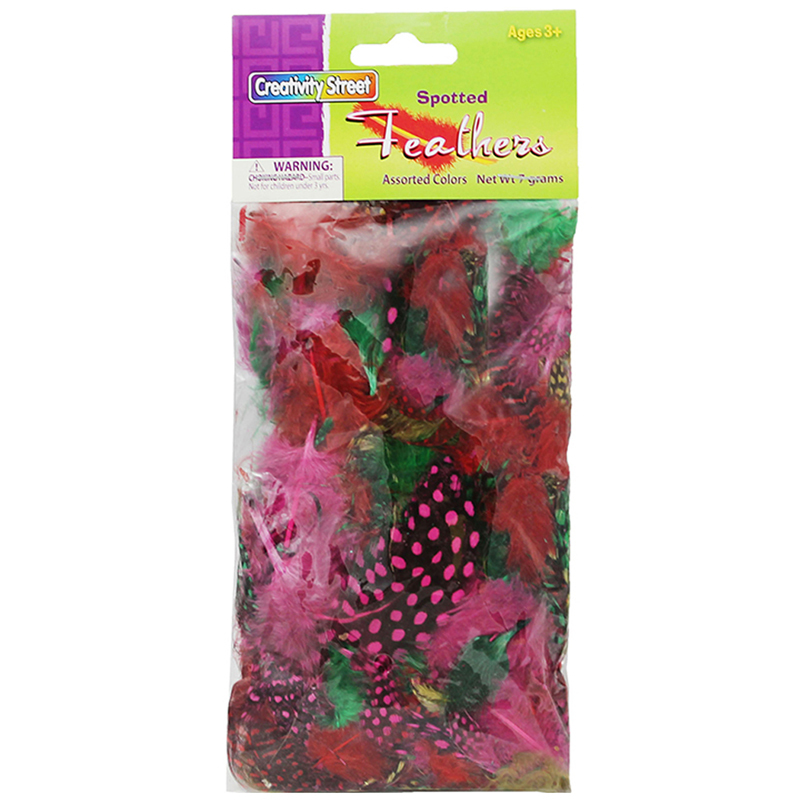 Quill feathers add bright colors to masks, craft projects and artwork. 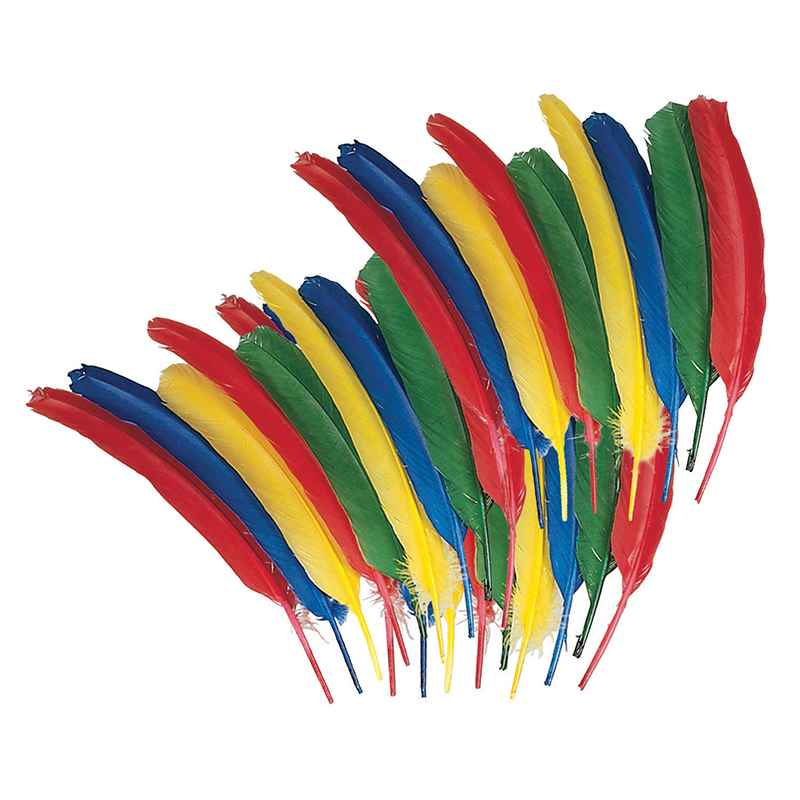 24 quill feathers with 6 each of blue, red, green and yellow. There is 3 left and 3 right oriented feathers for each color. 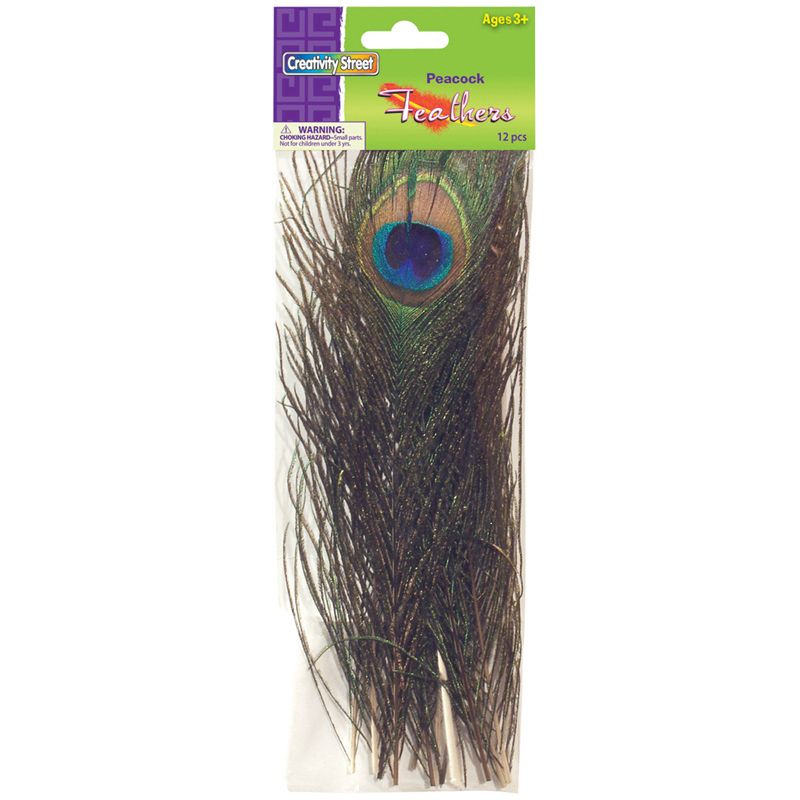 The Quill Feathers Bonus Bag Of 24 can be found in our Feathers product category within the Arts & Crafts. Peacock feathers add a nice touch to costumes, masks, collages and other creations. 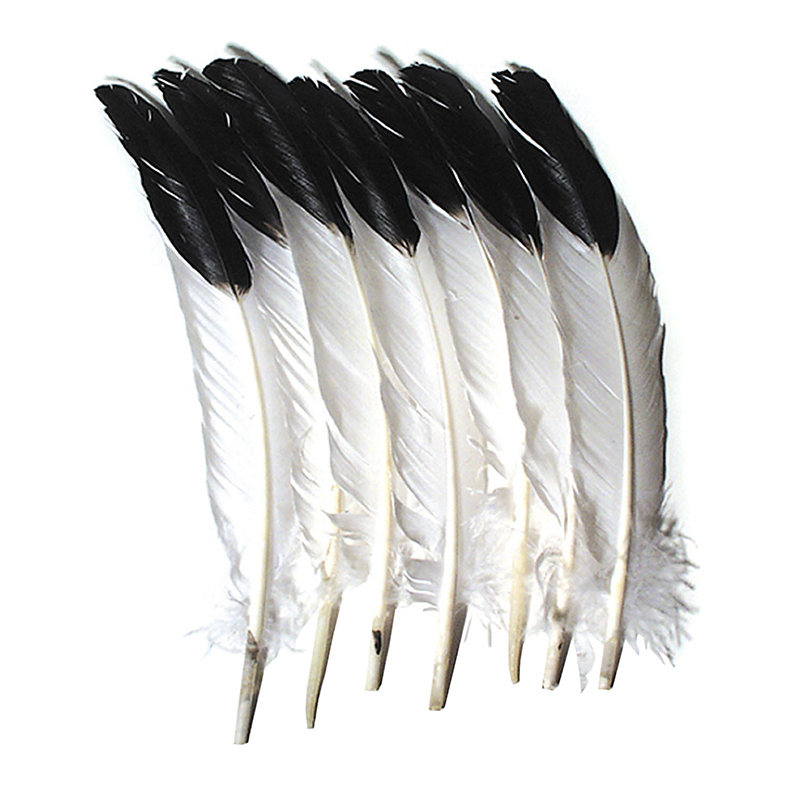 Each package contains 12 feathers. 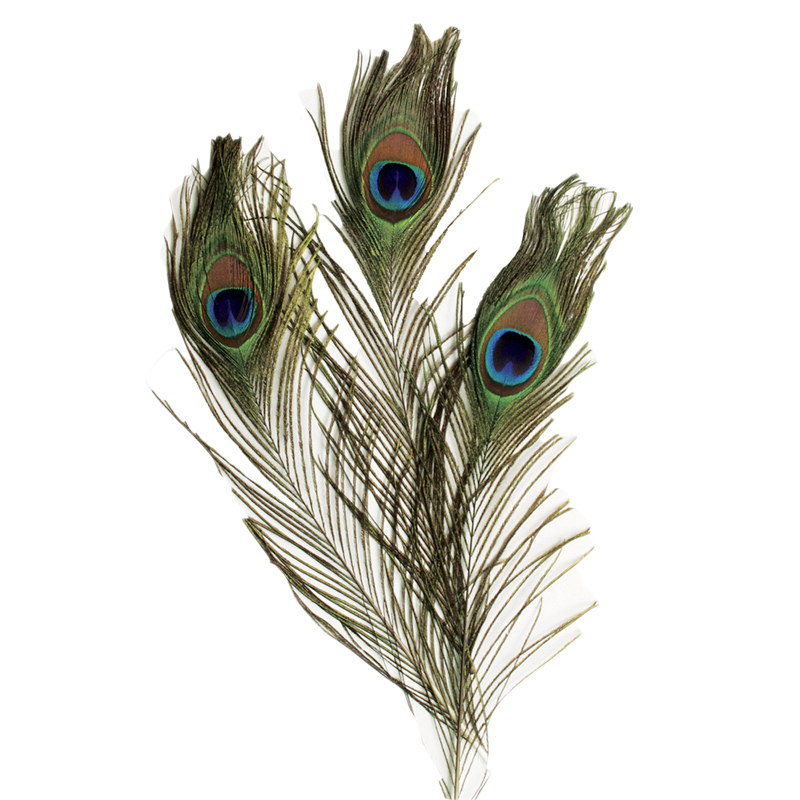 Standard peacock feathers are approximately 10" to 11" in length. Dyed guinea fowl feathers with unique spotted designs in a variety of assorted colors. Pack includes 7 grams of feathers.